Turmeric - Are You Ready for a Change? Curcumin is believed to improve the solubility of bile, making bile and its compounds, including those that form gallstones, easier to dissolve. A daily dose of turmeric, about ½ a teaspoon daily, can dissolve as many as 80% of gallstones. Turmeric, and its bioactive ingredient curcumin, has been scientifically proven as an effective counteractive agent against cancer, auto-immune disease, inflammatory disease, and a whole lot more. If you are a lover of Indian food, then you’re likely familiar with the pleasant aroma of the yellow herbal root, turmeric. But besides its delicious flavour profile, turmeric has a plethora of medicinal applications, used widely in Chinese herbal medicine as well as in Ayurvedic medicine. 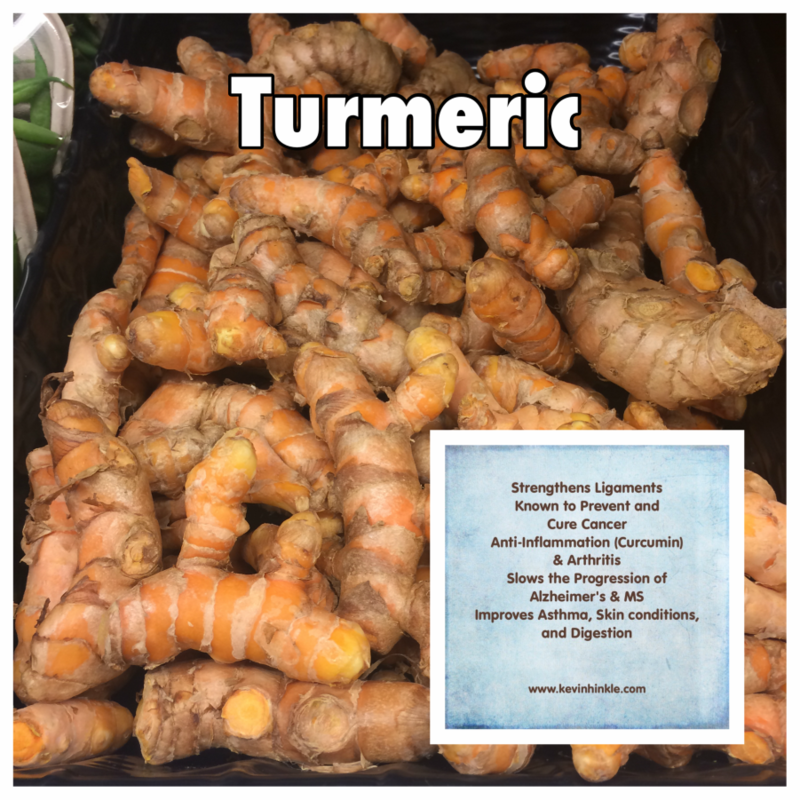 Even Western medicine has recognized the medicinal value of turmeric, as seen in the incredible amount of scientific literature available today surrounding curcumin, the bioactive ingredient in turmeric. It actually exhibits over 150 potentially therapeutic activities, including anti-inflammatory and antimicrobial activity, as well as containing potent anti-cancer properties that have been studied intensely. Researchers have found that curcumin has a positive effect on multiple systems in the body. For one, curcumin has been found to modulate around 700 of our genes. Furthermore, it modulates over 160 physiological pathways. Curcumin also regulates our cell membranes, allowing for more efficient transport of molecules in and out of the cell. But one of the most amazing aspects of curcumin is its positive effect on signalling molecules, which, if gone awry, can lead to chronic inflammatory responses, autoimmune responses, issues with DNA and RNA regulation, and more. In short, curcumin is a vastly important ingredient in the prevention of almost all types of diseases. Research has also discovered applications of curcumin in treating Alzheimer’s and joint health. Curcumin is capable of crossing your blood-brain barrier, which is one factor that has led researchers to investigate its potential as a neuroprotective agent for neurological disorders such as Parkinson’s and Alzheimer’s disease. Not surprisingly, curcumin actually has the most evidence-based anti-cancer literature out of any other herb. As noted by Dr. William LaValley—one of the leading natural medicine cancer physicians, curcumin is unique in that it appears to be universally useful for just about every type of cancer. This is odd, considering the fact that cancer consists of a wide variety of different molecular pathologies. One reason for this universal anti-cancer proclivity is curcumin’s ability to affect multiple molecular targets via multiple pathways. Once it gets into a cell, it affects more than 100 different molecular pathways. And, as Dr. LaValley notes, whether the curcumin molecule causes an increase in activity of a particular molecular target or decrease/inhibition of activity, studies repeatedly show that the end result is a potent anti-cancer activity. Moreover, curcumin is non-toxic, and does not adversely affect healthy cells, suggesting it selectively targets cancer cells—all of which are clear benefits in cancer treatment. Research has even shown that it works synergistically with certain chemotherapy drugs, enhancing the elimination of cancer cells. The yellow turmeric spice you find on your local grocery store shelves won’t offer you the same medicinal value as properly extracted and sourced curcumin. Locate a high quality turmeric extract that contains 100 percent certified organic ingredients, with at least 95 percent curcuminoids. The formula should be free of fillers, additives, and excipients (a substance added to the supplement as a processing or stability aid), and the manufacturer should use safe production practices at all stages: planting, cultivation, selective harvesting, and then when producing and packaging the final product. Typical anticancer doses are up to three grams of good bioavailable curcumin extract, three to four times daily.